Around two thirds of in-house legal teams have used alternative fee arrangements, but of those that have, 29 percent rated the experience as “a failure”, a new survey has found. 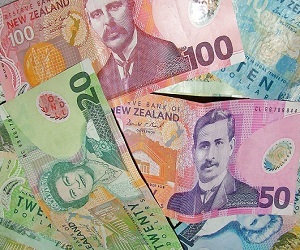 According to the 2015 In-house Report: Benchmarks and Leading Practices, produced jointly by the Australian Corporate Lawyers Association (ACLA) and Corporate Lawyers Association of New Zealand (CLANZ), while budget pressures mean that the demand for alternative fee arrangements, many in-house teams are not seeing the desired results. Only half of the in-house teams that have used alternative billing models thought such arrangements were successful. Dissatisfaction with alternative fee arrangements has risen since the last study in 2012, when 21 percent of in-house lawyers expressed their disappointment with models such as blended rates, volume billing, value-based billing, fixed pricing and risk-reward billing. Alternative fee arrangements’ disapproval rating puts it on par with time billing, with 29 percent of in-house lawyers also expressing their dissatisfaction with the traditional model. Organisations with a lower spend on external legal advice were more likely to be satisfied with alternative billing arrangements, with 60 percent saying they found the arrangements to be a success. Only 41 percent of organisations with an external spend higher than $2m per year found alternate fee arrangements successful. Despite the apparent dissatisfaction, the report also found that 27 percent of organisations plan to implement new alternative fee arrangements, with 84 percent considering fixed fee, and 47 percent examining a value-based fee option. The question of fee arrangements is more important than ever, with the report showing that in-house spending on external legal advice has decreased by a whooping 25 percent since 2012. “Law firms that can think about their client’s clients and think about what value is for that organisation, certainly will have a better chance of increasing their work with that organisation,” Hyde said.